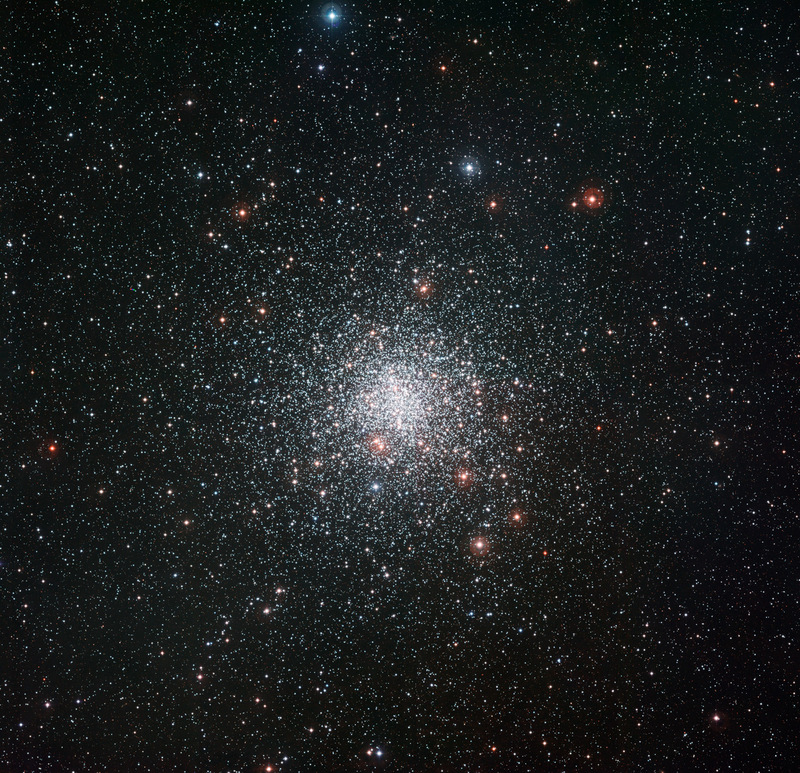 Using the Wide Field Imager (WFI) on the MPG/ESO 2.2-meter telescope at ESO’s La Silla Observatory, astronomers captured a new image of globular star cluster Messier 4, which contains a strange lithium-rich star. 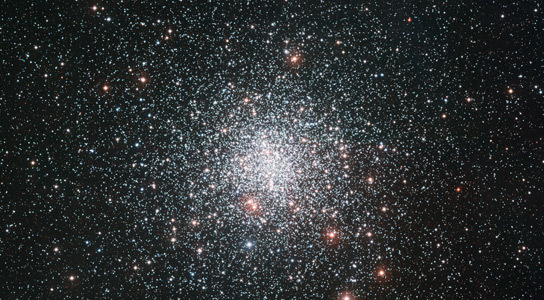 The Milky Way galaxy is orbited by more than 150 globular star clusters that date back to the distant past of the Universe. One of the closest to the Earth is the cluster Messier 4 (also known as NGC 6121) in the constellation of Scorpius (The Scorpion). This bright object can be easily seen in binoculars, close to the bright red star Antares, and a small amateur telescope can show some of its constituent stars. This new image of the cluster from the Wide Field Imager (WFI) on the MPG/ESO 2.2-meter telescope at ESO’s La Silla Observatory reveals many more of the cluster’s tens of thousands of stars and shows the cluster against the rich background of the Milky Way. Astronomers have also studied many of the stars in the cluster individually using instruments on ESO’s Very Large Telescope. By splitting the light from the stars up into its component colors they can work out their chemical composition and ages. New results for the stars in Messier 4 have been surprising. The stars in globular clusters are old and hence not expected to be rich in the heavier chemical elements . This is what is found, but one of the stars in a recent survey was also found to have much more of the rare light element lithium than expected. The source of this lithium is mysterious. Normally this element is gradually destroyed over the billions of years of a star’s life, but this one star amongst thousands seems to have the secret of eternal youth. It has either somehow managed to retain its original lithium, or it has found a way to enrich itself with freshly made lithium. Be the first to comment on "Mysterious Lithium-Rich Star in Messier 4"